Approximately $2.19 for 18oz at your local grocery. 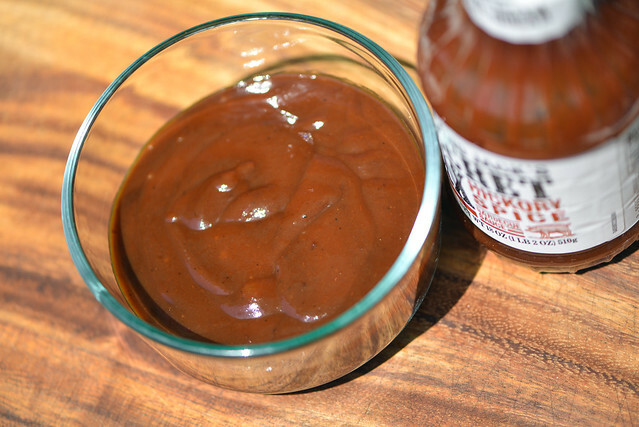 A heavy handed liquid smoke gives this sauce a hickory flavor from start to finish that overwhelms most everything else except a slightly sweet molasses and acidic tomato. I did it! 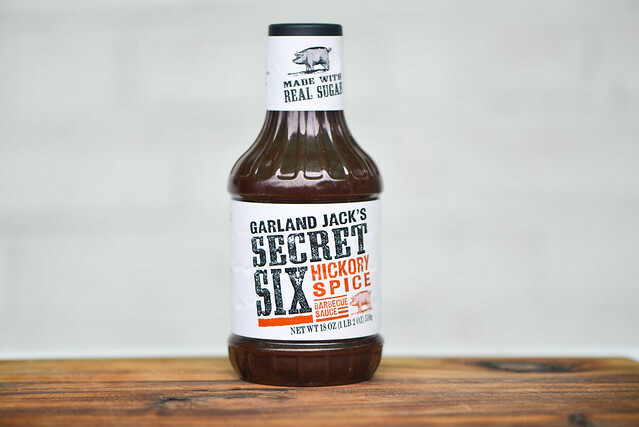 One and half years ago, the PR firm representing Garland Jack—a barbecue sauce brand under the Kraft umbrella—reached out to me and asked if I'd like to try some sauce. While the average Joe will send one, maybe two bottles for testing, the Garland Jack folks delivered every single variation within their brand—six total. Each one was fairly distinct, so I vowed to give all of them a proper review, and I've finally reached the last one. 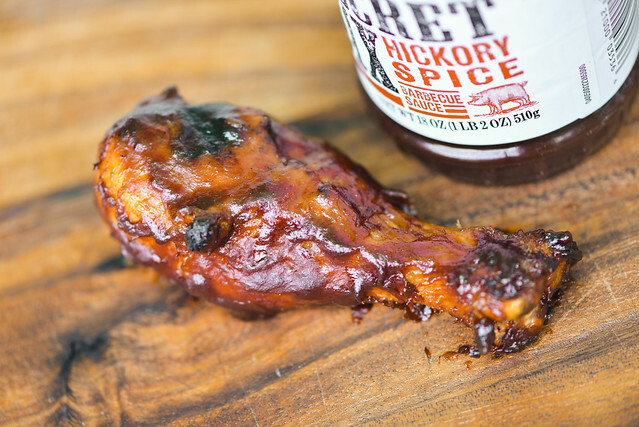 Hickory is a pretty hefty smoke, and it creates a dominating aroma in this sauce. The smokiness has the distinct liquid smoke smell, which is sharp and pungent. Sitting just behind the hickory is a defining deep molasses that brings with it a sweet profile that helps balance the smoke a bit. 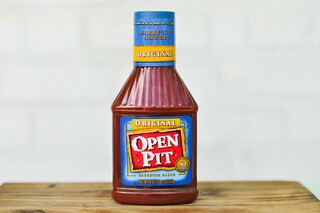 A heavy tomato base gives the sauce a fruity and more acidic aroma, while a mellow vinegar lingers in the background. There are hints of spice with a little earthiness, but it's very mild and hard to discern clearly due to the strong smoke and molasses. A dark maroon hue and opaque appearance makes it difficult to make out the spices, although specs of black pepper can be seen here and there. The sauce has a thick consistency that's like a smoother, thinner tomato paste. From a suspended spoon, it first falls in one large dollop, then it takes gravity awhile to get a second, and sometimes third, glob of sauce to descend from the silverware, leaving behind a heavy coating of sauce still securely clinging on. This sauce delivers a smoky experience from stark to finish. 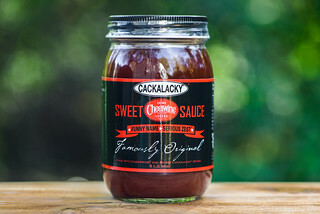 The hickory flavor is mild at the onset, and as the sauce settles on the tongue, a 50/50 mixture of molasses and acidic, not sweet, tomato mixes in. As vinegar starts to bring a little tang to the party, the smoke begins ramping up for an all out finale. It transforms from a medium smokiness to an overpowering acrid flavor that takes over all else. There are cries for attention from some earthy and mild chili powders, but the smoke keeps them mostly at bay except a slight tingle of heat just at the end. The thick sauce coated the chicken unevenly and just sat atop the leg, not baking down over indirect heat. That led to burn off over the less forgiving direct heat, and required me to add an additional brushing at the end to ensure there was enough sauce for a proper tasting. 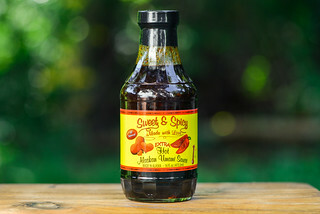 The intense smokiness remained after being cooked, overwhelming most other flavor except the heavy molasses and tomato. I struggled to taste any spice at all, which got drowned out even more by a slight bump up in the sweetness. I'm an open critic of liquid smoke, but have found it used gracefully in sauces throughout my years reviewing. In too a high a quantity though, it can make a decent sauce taste acrid and artificial, which is exactly what was happening here. I think a sauce should leave some room for smokiness picked up from the coals, but this one hit the liquid smoke so hard that it drowned out anything better that may have been going on. Ultimately it left the sauce off balance and too heavy handed, leading me to think there wasn't much of anything I'd really like it on. I've applauded the Garland Jack brand for tailoring their sauces to their defining characteristics, but in the case of Hickory Spice, they took things a little too far. Believe it or not I have not heard of this sauce until just now. I am off to try it! Thanks for the great review. Wayne.